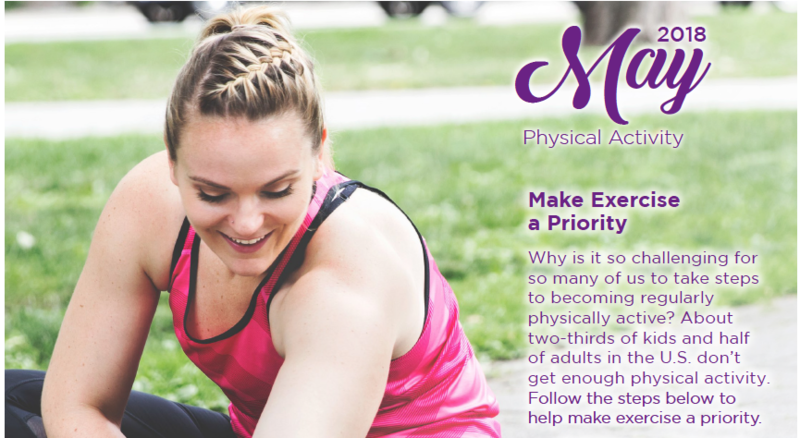 Download the monthly calendar and follow the prompts for a fulfilling month of physical activity. 50% of Adults do not meet exercise guidelines according to the National Institutes of Health. Furthermore, according to the Healthy People 2020 guidelines, it may be closer to 80% of the population that does not meet both the aerobic and muscle-strengthening Physical Activity Guidelines. There are many reasons people do or don’t exercise. Most know they should, however, may not be following through with getting started. There are positive factors and negative factors that impact persons behaviors. Here are just a few. Do you know the guidelines for each of the components (aerobic, muscle-strengthening, flexibility)? What are positive factors that influence you to engage in physical activity? What are negative factors that keep you from working out? Can we help? Balanced Wellness believes that it is our goals, values, and purpose that ‘drive’ us to engage or not engage in healthy behaviors. We desire to Inspire Each Individual to Achieve Their Optimal Well-being, physical, emotional, financial, or other dimensions of wellness – Exercise is always a great starting point! And determining your values and goals for fitness is a great place to start your well-being journey.